Ardekani received her M.S. from the Samueli School’s Department of Mechanical and Aerospace Engineering in 2005 and a Ph.D. in 2009 after working with her advisor Professor Roger H. Rangel, Ph.D. at UC Irvine. She was a Shapiro Postdoctoral Fellow at the Massachusetts Institute of Technology (MIT) before joining the faculty at Notre Dame in January 2011. Biofilms cost the U.S. billions of dollars annually due to human and animal infections, product contamination and biofouling of membranes. The underlying hydrodynamics of bacterial aggregation that eventually leads to formation of biofilm streamers are currently unknown. In order to understand biofilm formation and growth, the dynamics of bacterial aggregation at ecologically relevant spatiotemporal scales, in the presence of flow while interacting with extracellular polymeric substances, must be studied. This is a challenge largely unanswered to date. 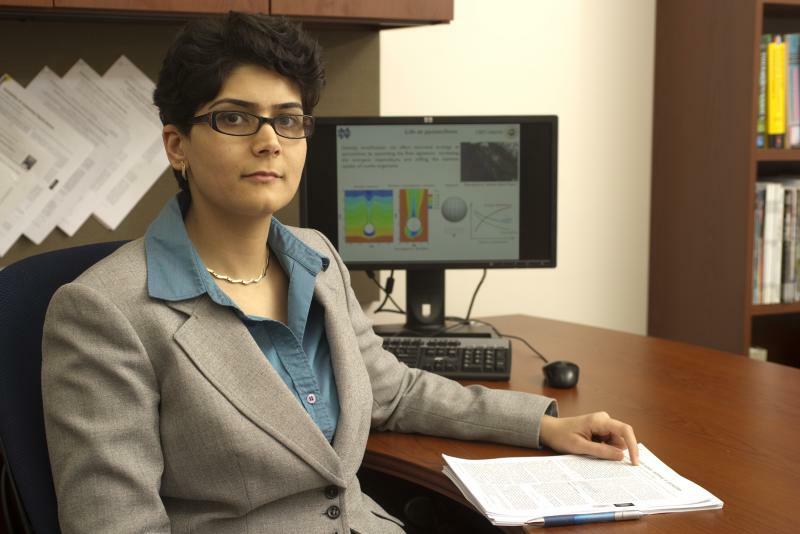 Ardekani's research group employs state-of-the-art, three-dimensional computational fluid dynamics and experimental techniques to study bacterial aggregation and biofilm formation. The NSF CAREER Award program recognizes junior faculty for their role as teacher-scholars and for the integration of education and research within the context of their organization's mission. Proposals are reviewed by colleagues in the field and the highly competitive award is bestowed on those scientists and engineers deemed most likely to become future academic leaders.